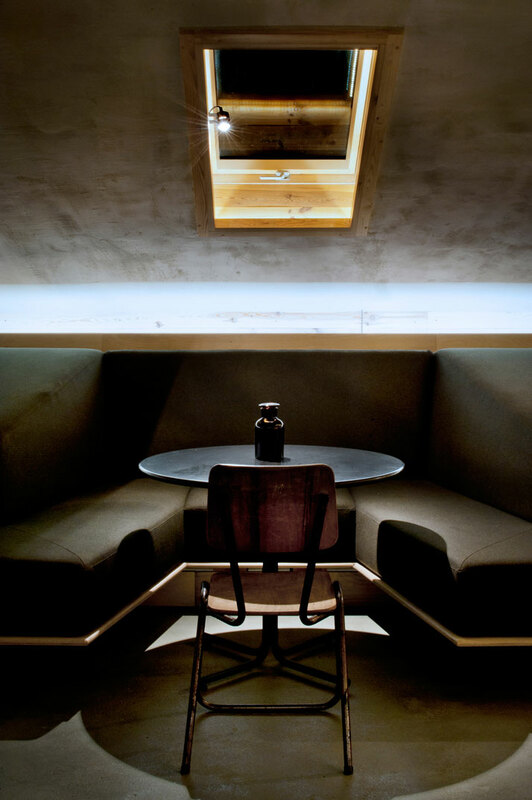 The honest use of raw materials and careful selection of furnishings are what sometimes make a huge difference inside smaller spaces. 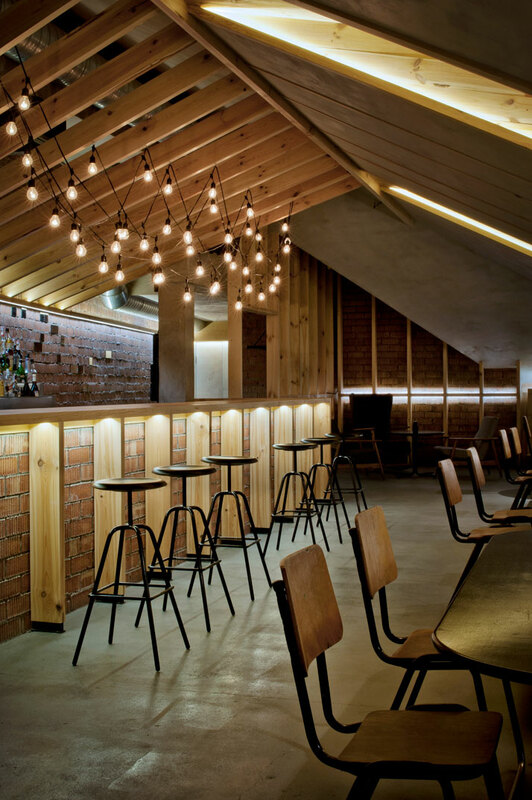 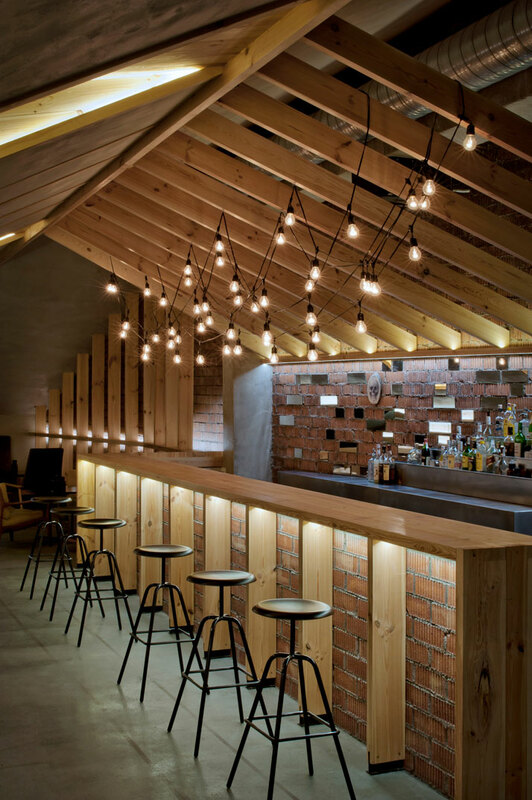 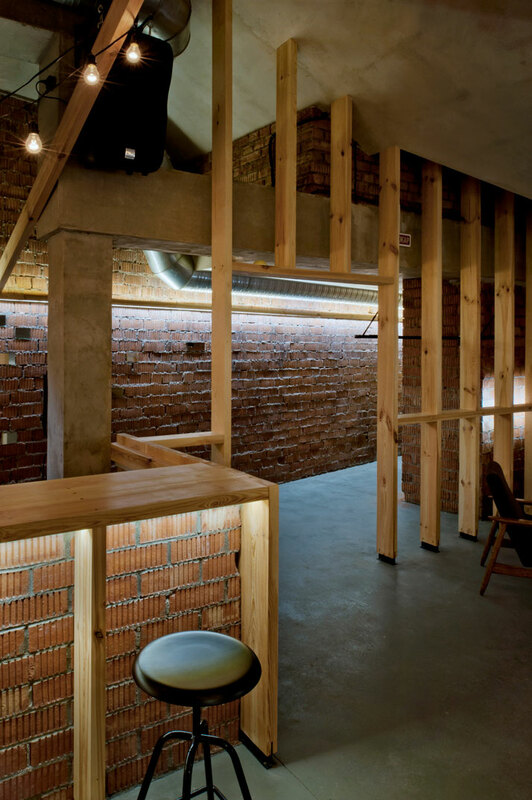 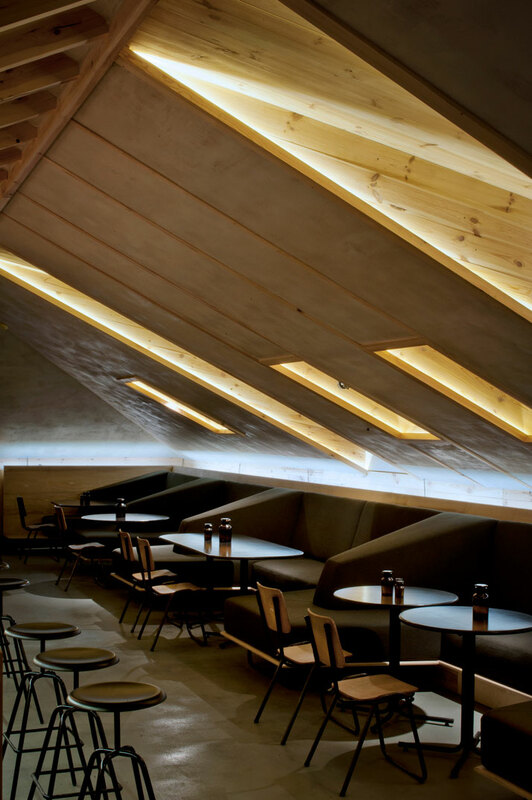 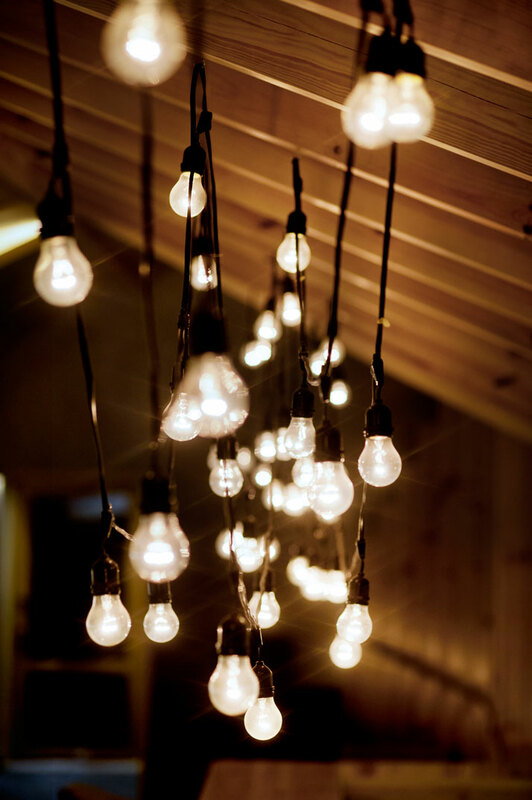 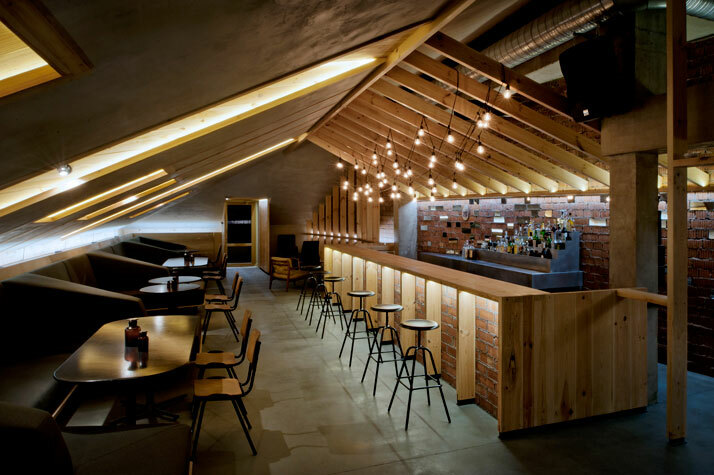 This proved to be exactly the case in the attic under the roof of a newly rebuilt house in Minsk, the capital of Belarus, which Lithuanian Inblum Architects transformed into the ATTIC bar, a bar with a ''raw character''. 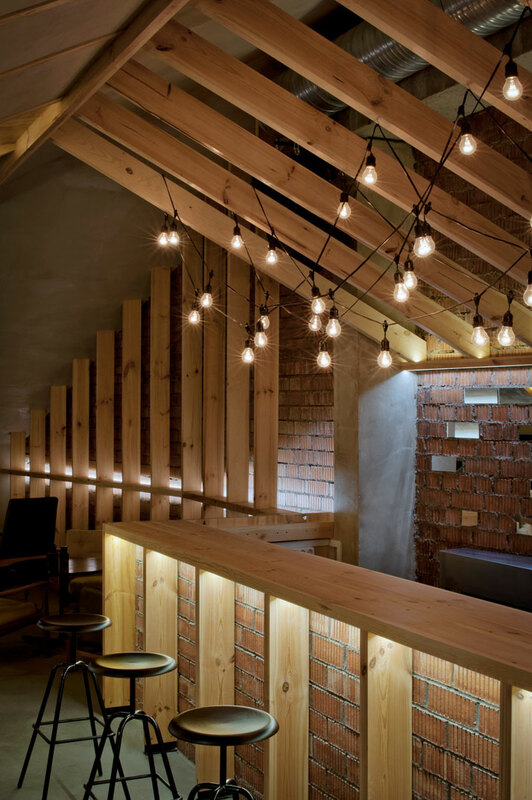 The bar itself is accessible directly from the street via a small wooden deck. 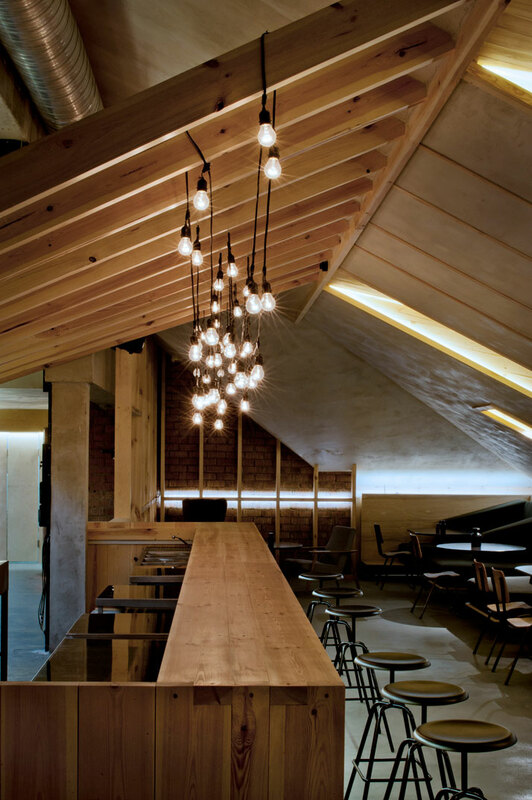 On the left side after entering, the space’s archetypal attic character is highlighted by the multifunctional structure made of pine boards spanning the entire space which serves simultaneously as a bar, a shelf, a coat rack and a structure where the incandescent light bulbs hang from. 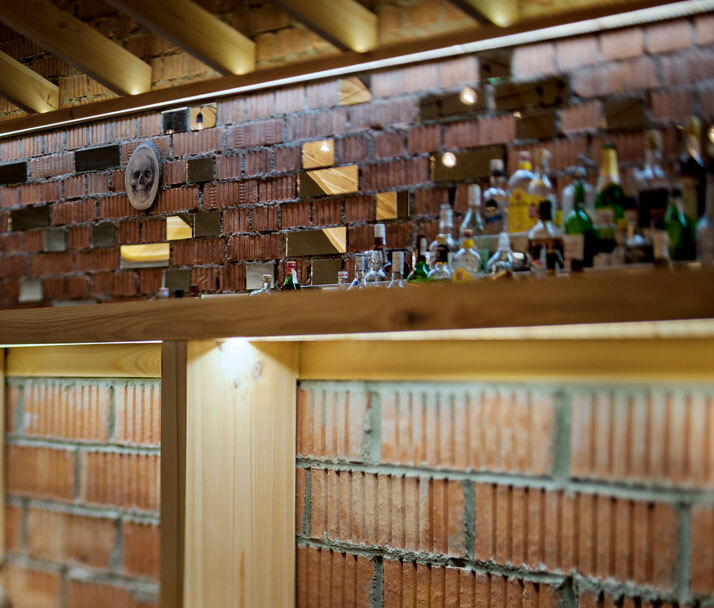 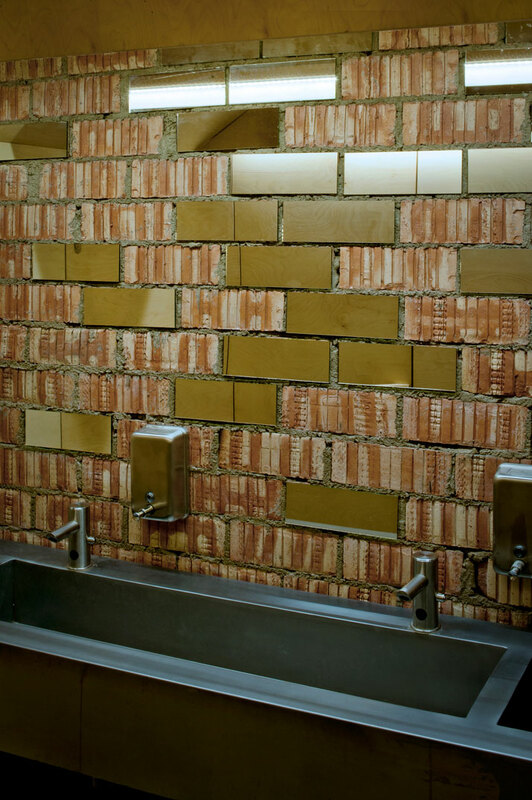 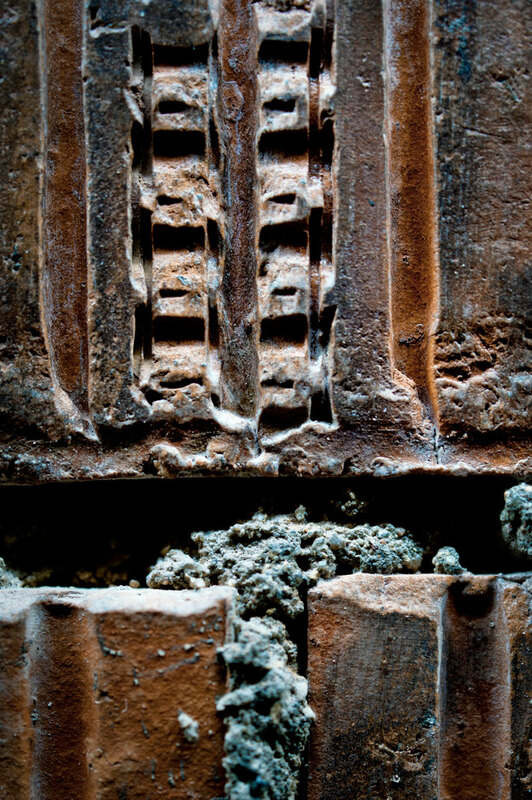 Visitors’ attention is been drawn to the original bare brickwork with its small rectangle mirrors attached almost ''randomly'', which stand out from the wall behind the bar and under its counter, as well as above the washbasins in the bathroom. 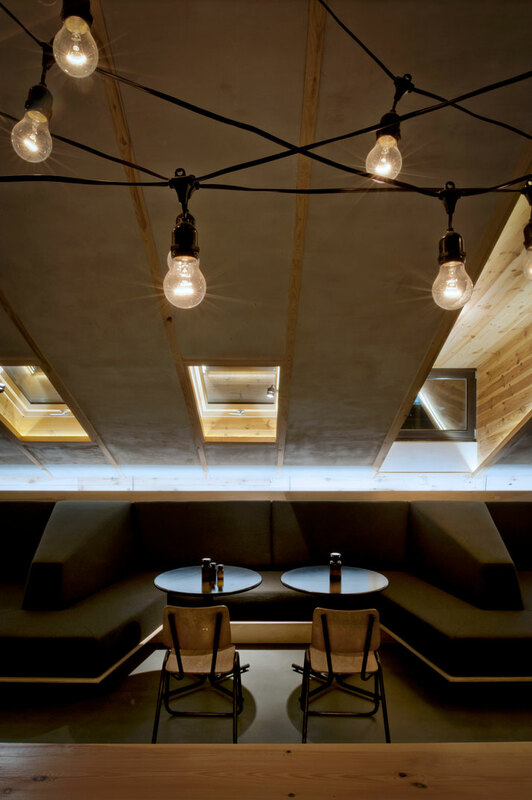 On the other side of the bar, the unusable space usually found under a low ceiling is occupied by a soft seating structure. 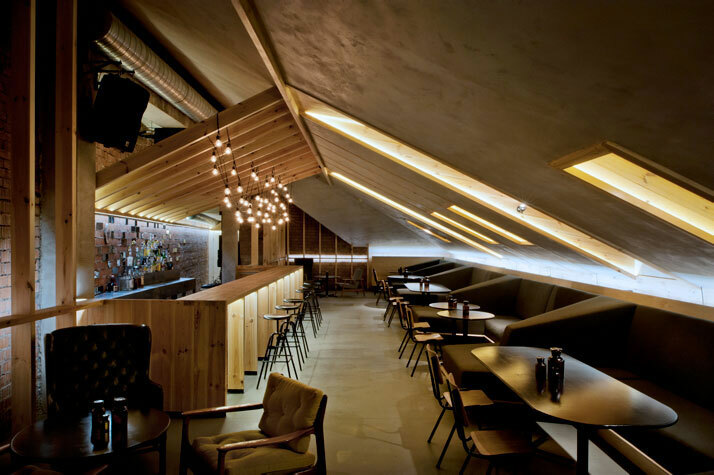 The final interior-touches are provided by chairs sourced from an Irish school, industrial bar-stools by Berlin-based Atelier Haussmann, Soviet-Union style armchairs from Lithuania and other objects from Swedish flea markets.